Outside of the original trilogy, I think these three books by Timothy Zahn are my favorite Star Wars stories. I fell in love with them twenty-five years ago, and I still love them now. 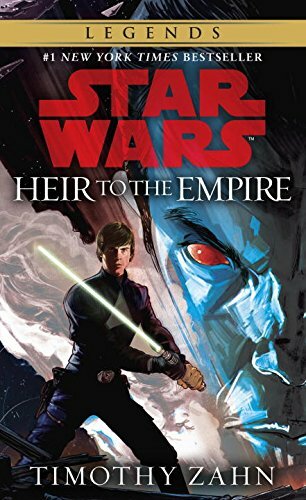 My first glimpse of Zahn's work was a stripped book, a copy of Heir to the Empire with it's front cover cut off. I read that book, and read it again, and then I stole that book from a friend's older brother, in 1991 or 1992. I couldn't get enough. I was born in 1980, which meant Star Wars loomed large in my mind growing up. However, at that time, Star Wars wasn't quite the marketing and merchandising juggernaut it is now. In the 80s and early 90s, Star Wars books were pretty sparse. Splinter of the Mind's Eye, by Alan Dean Foster, was written in 1978, and a trilogy apiece were dedicated to Han Solo and Lando Calrissian, but not much else could be found. Then, in 1991, Zahn wrote Heir to the Empire, using short stories created by West End Games for their Star Wars roleplaying game as background material. Zahn quickly followed up with Dark Force Rising in 1992, and The Last Command in 1993. I am not surprised that this subsequently exploded into a panoply of books, comics, and videogames that came to be known as the Expanded Universe, because I was hungry for more, and there were lots of kids just like me who would buy whatever came out. And buy it we did. In retrospect, I think Zahn's work was the best of the lot. I bought a lot of Star Wars books during the 90s, and then I sold them all to my local used bookstore in the 2000s. The Thrawn Trilogy are the only ones I have ever wanted to read again. I bought all three of the books, and read them over Thanksgiving. They really were as good as I remembered. Maybe even more so. I was a little cautious going in. I had been reminiscing about the Thrawn Trilogy recently, and I had purchased the prequel volume Outbound Flight by Zahn. I was a bit disappointed. That book just isn't that good. I questioned myself. Perhaps my literary judgement as a twelve year old was suspect. I had, after all, bought all of those other books that I didn't miss a bit. Well, except the Han Solo Adventures. There were some really choice lines in those books. However, the weight of memory and nostalgia won out, and I dove in. I wasn't disappointed. 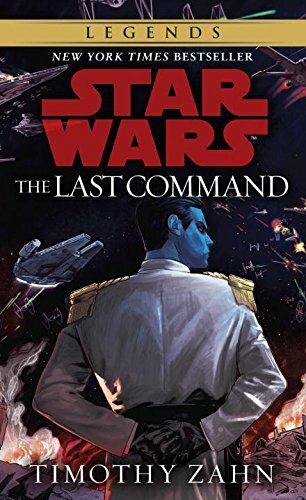 In the first chapter of Heir to the Empire we are introduced to Grand Admiral Thrawn, the best villain in the Star Wars universe. Thrawn is cunning, ruthless, and...cautious. Strategic. Thoughtful. Inspiring. His men fear him, but they love him even more. The Grand Admiral returns from mysterious tasks in the Unknown Region to find an rump of the Empire on the run from a newly respectable Rebellion that is trying to style itself the New Republic. In a series of bold strokes, Thrawn revitalizes the routed Imperial Forces and paralyzes the new government in fear and indecision. Jerry Pournelle said that surprise is an event that occurs in the mind of an enemy commander, and what better way to do that than by knowing your enemy better than he knows himself. That is Thrawn's great power, a piercing insight into the minds of men [or aliens], along with a ruthless will to power that shrinks from nothing. In the end, only hubris is capable of bringing Thrawn to defeat. Watching this play out in Zahn's books is what really makes this fun, so despite the age of these books, I won't spoil the fun. Go read them for yourself. Thrawn is also popular with the fans. These three books have been re-issued under the new Legends line, and now Thrawn occupies a more prominent place on the covers. In addition, the Grand Admiral has been added to the on-going Star Wars Rebels TV series, which is the preferred mechanism at present for Disney choosing to re-integrate characters and settings from the former Expanded Universe into the primary storyline. I am glad to see the return of such a great character, and I salute Zahn for creating him in the first place. 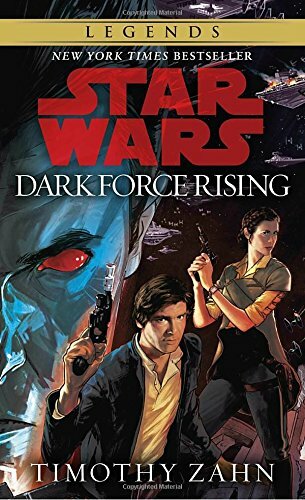 Sure, I get that Star Wars is myth rather than hard sci-fi, but the choice of more cartoonish villains in the Force Awakens will probably end up aging more quickly and more poorly than a more realistic opponent like Thrawn.